We’ve got action on many fronts with races in Oman, Algarve and Andalucia today. This can be confusing: Which race do we follow? Why aren’t the best riders together in the same race? Those questions are valid but the answers aren’t so simple. It’s arguably superior to have the peloton spread around the world because it means the best riders only clash from time to time. A bike race is an exercise in hierarchy and if the same riders kept meeting then the results would likely be the same, a result on a summit finish one week would likely be similar the next. It also means a total of 488 riders are working in competition today, not to mention the accompanying management and support staff. Both Andalucia and the Algarve are on Eurosport this week if you want to watch on TV with plenty of big names in action and also the European debut of Team Manzana, the newly-promoted Colombian team that has joined the Pro Conti ranks. The Tour of Oman isn’t on TV and a blog post from a couple of years ago explains why. If you want to save a click it’s because Oman doesn’t pay for a live broadcast, something many other races do and a reminder that only the biggest events on the calendar can sell the broadcast rights for meaningful sums. 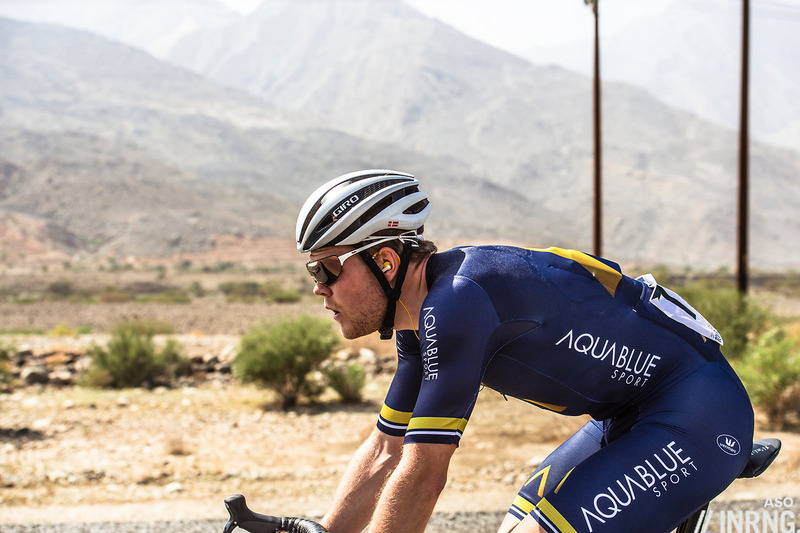 The Aqua Blue team may not be on TV because they’re racing around Oman but they seem to be everywhere: they’re new, Irish and seemingly in every breakaway going. It’s not brought a win yet but there’s a deliberate strategy here. As a UCI Pro Continental team they’re not guaranteed a start in any race at all so they need to convince organisers they’re worth bringing to the start and one way to prove it is to supply more animation than Pixar by going in the breakaways. It’s not brought a win but it’s got them on the podium with a mountains jersey, a best young jersey there and they’re making a name for themselves. They need to because Aqua Blue is a new e-commerce venture with the goal of generating enough business to fund the team, an ambitious aim. 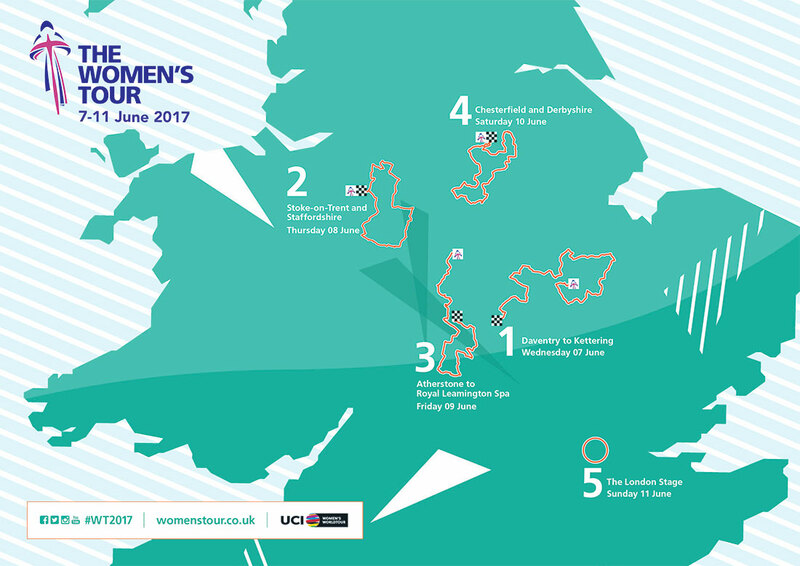 From Ireland to England and one race that’s becoming more valuable every year is The Women’s Tour which has just announced a new London finish. The race name alone is of interest linguistically given its definitive nature, not just a “tour of somewhere” but The Women’s Tour. Boastful? Maybe but also deserved as the race will ride around the British capital in June for its final stage, a symbolic moment and it comes after some selective climbing stages along the way, something that was missing in the early editions. The race now has everything to become the premium women’s stage race on the calendar and you feel the likes of ASO and RCS are missing a trick here, they might run women’s versions of some events like the new upcoming Liège-Bastogne-Liège for women, the Strade Bianche in Italy and this summer’s La Course over the Izoard is promising but the women’s sport is moving ahead faster than these two traditional race promoters want to invest. Dreaming aloud ASO would invest in a women’s Tour of California for May and then turn La Course into a multi-day stage race in July while RCS get behind the Giro Rosa. Talking of linguistics and businesses getting ahead of the men’s World Tour peloton, once upon a time the phrase “team issue” would imply the highest standard of a product, for example a team issue bike was the flagship model for a range. It still is in many cases, for example Pinarello’s Dogma F10 as used by Team Sky. But this doesn’t hold now for other brands and recently online direct retailer Canyon, sponsor of Movistar and Katusha, launched two bikes with the new Ultimate CF Evo frame that sit above the “team issue” product. The UCI rules on weight and design are behind this and there’s still plenty of marketing value in a team issue model that makes it through the Arenberg Forest or over the Stelvio but it does pose an existential question for the sport if it can’t act as the shop window for the best products. Now to something nobody is talking about: the provisional suspension of Giampaolo Caruso. The Italian was provisionally suspended following a retest of a stored sample and this led to the discovery of EPO in the A-sample. This has to be some kind of record as he’s now been provisionally suspended for 547 days and counting, meaning no hearing has reached its conclusion. It’s now nearing a few months short of a two year ban in case the B-sample is ever tested or the case is heard. Caruso’s career is over and aside from the anecdotal curiosity of such a delay it suggests a failure of justice because a case like this should not remain provisional for so long. Caruso was suspended following a re-test of a sample from 2012 so this delay could also impact the UCI’s policy of testing stored samples. A similar story for Jure Kocjan who has also been provisionally suspended for over a year now with a similar retest for EPO on a stored sample. From slow to fast and good to see Quick Step celebrating the Ruban Jaune, the “yellow ribbon” prize for the fastest average speed in a one day race, an almost forgotten award. Created in 1936 by Tour de France promoter Henri Desgrange, the prize mirrored the blue ribbon or ruban bleu prize for sailing across the Atlantic in record time. Desgrange of course used yellow to match the paper of his newspaper L’Auto and the yellow jersey of the Tour de France. A one day race has to be at least 200km long to qualify. 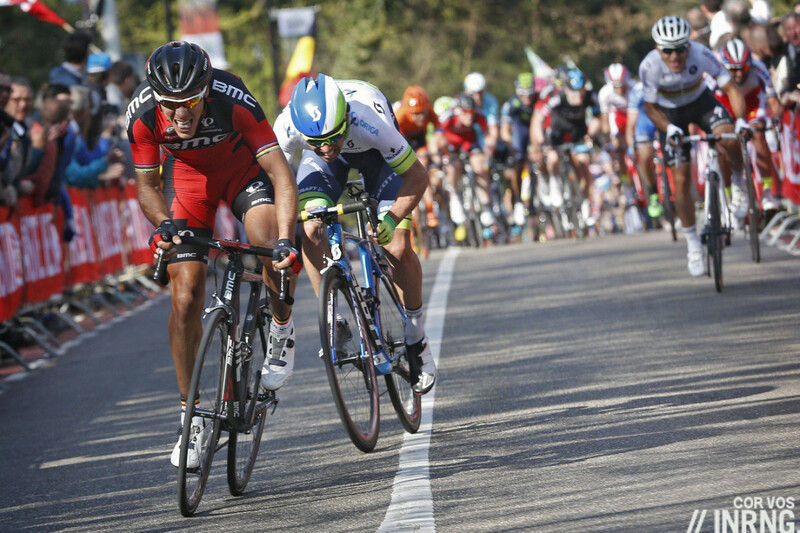 The Amstel Gold Race qualifies but good luck beating 49.641km/h record because the course is too hilly. In fact it’s so twisty you’d have a hard time reaching it driving the route. New for 2017 is a significant change to the finish and the traditional sprint up the climb of the Cauberg is out. The finish will now avoid the descent into Valkenberg and the climb back out and now it will cut across the flat plateau past the apple orchards to Vilt before joining the traditional finishing straight. It makes the course more sprint friendly but paradoxically should force the climbers and explosive riders to reveal their game earlier rather than sit tight for the Cauberg. 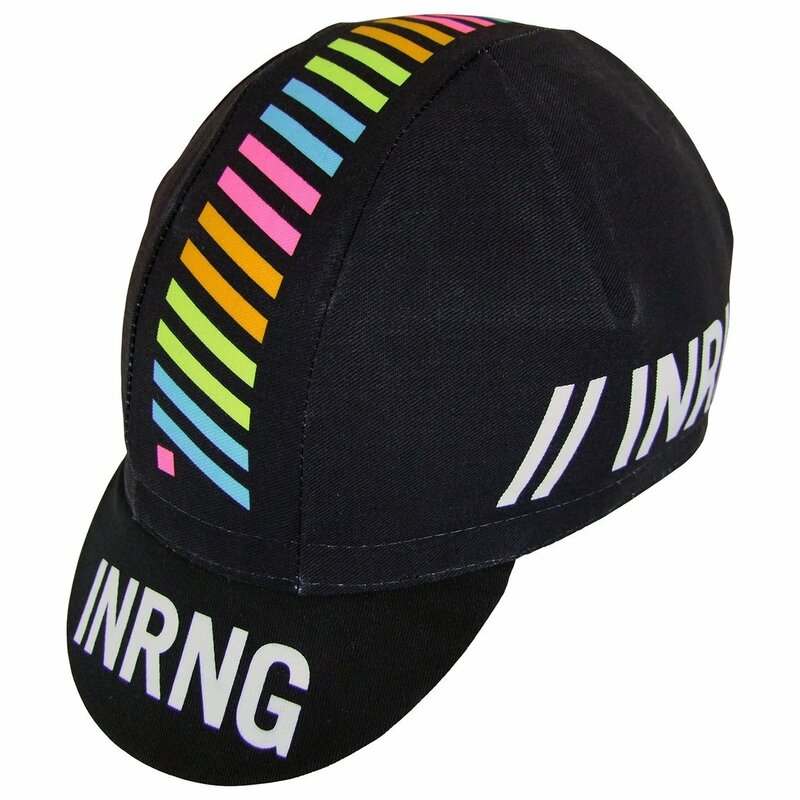 A reminder you can support this blog by purchasing a cap, jersey or socks from friendly British-based online retailer Prendas. As well as some kit you help keep the wheels turning here. You write, “The race now has everything to become the premium women’s stage race on the calendar and you feel the likes of ASO and RCS are missing….” regarding this rather boastfully named race in the UK. Does this mean the Giro d’Italia Internazionale Femminile, will no longer be run? I’m with Larry – The Women’s Tour is merely a tune-up for the Giro and La Course in July. It’s still overshadowed by the women’s Classics in importance. Well that very much depends who you talk to. A lot of the peloton is very exicted about these newer races because they are taken seriously by the organisers with a real effort to make them unique and top quality events. More so than various tagged on offerings from the more well known organisers. Of the Stage Races on offer, the Womens Tour has shot to the high end of many riders lists. The Giro holds a certain status because of it’s link to RCS and the male Giro, but the gulf is far from what there is in the mens sport between the Giro and the Tour of Britain. Interesting. Hopefully the riders can unify together and use this as a tool to negotiate and get better conditions at the other races then. However, the main issue that Larry T and I were focusing on is importance, that is prestige. It’s one thing for the riders to prefer a certain race, but how is the race result viewed on a palmares? The women’s Giro and Classics are nearly impossible to overcome by a British stage race. The former races are physically a lot more selective, and the British stage is much shorter. I would even go so far as to say the 2.1 classified French stage race is much more prestigious, even though it’s not a WT race. The Giro Rosa doesn’t have links to the men’s Giro beyond the “giro” noun and sometimes using the same roads. It’s still a great race but in need of investment, it’d be nice if RCS could get more involved here. The UK women’s scene also has big, enthusiastic crowds lining the roads (including me, whenever possible). And the WT organisers have responded seriously and constructively to criticisms that early editions of the race weren’t selective enough. This year’s course is the most interesting yet. So the WT is a really rewarding experience for the riders in more senses than one. Instead of denigrating the WT solely on the grounds of its youth we should be holding it up, with other similar races managed and promoted UK-style, as a model for older (and newer) European races to emulate if they want to keep what prestige they still have. The ‘boastful name’ came about because the organisers were not allowed to use the ‘Tour of Britain’ name by the rights holders, who, I think, are British Cycling. BC also prevented the race from expanding to seven days this year, which is a bit unfortunate given other race cancellations in the women’s calendar (Philly would have been the week before, for instance). A lot of fans and followers of women’s racing have very mixed feelings about La Course, even though it’s the race that probably gets the most attention. I hope ASO start to show more ambition and that changes. As for the Giro Rosa, it’s a great race, but its organisation has felt rather precarious in recent years. Its use of mountain routes has sometimes been disappointing. “Its use of mountain routes has sometimes been disappointing”. What do you mean? The Giro Rosa has had, as most stage races, a variety of editions, more or less favourable to climbers, but I’d say that their use of mountains tends to be quite good and pretty much unique when compared to most women’s races. Some of their ideas, on a different scale, should well be copied by men’s races (like the beautiful road from Mortirolo to Corteno Golgi last year, or a variety of tricky stages; and they rediscovered the importance of a downhill finish well before the men’s GTs finally became aware of that). In the last ten years or so I had some doubt about the course only in 2012 and 2015 – which means averaging way better than the Vuelta or the Tour (the men’s TdF I mean) on a sort of personal scoring about course expectations and satisfaction. The Giro Rosa has a standing but that’s it, it feels like it’s standing still while the women’s sport grows fast around it with TV coverage, media interest and now a stage finish in a capital city. It’d be great if the women’s side of the sport could advance in terms of revenue sharing, stability, etc where the men’s side has failed. Or, if it rises in popularity amongst fans and takes some of the fans from men’s side… use that as leverage. This fan is tired of the games on the men’s side, and stories of abuse in cycling (esp aimed towards women) is making me desperate for a well run racing structure for these athletes! I’d like to know more about the exclusion from the WWT of Gracia-Orlova or Emakuumen Bira: the Women’s Tour has a long way to go to reach the status of those two races, even if I suspect that it’s all about money and the Women’s Tour might grow fast for that same reason. That’s something which I’d celebrate hugely, especially if it’s going to set new professional standards for women’s cycling. I just hope it’s not one of those short-term loves (like a lot of stage races in the USA, in male cycling…) which after a decade or so leaves behind a poorer sport, having in the while magnetised resources and attention by cycling institutions. I’m still angry for the Tour de l’Aude’s passing away. I totally agree with the idea that ASO and RCS are missing, but to consider a stage race as *premium*, it should be technically on the same level of the above-mentioned ones – and, albeit very interesting, the Women’s Tour has still got some way to go, at least until now. Let’s see what about this year’s edition… and let’s see what about the following 7-8 editions, to start with. Female cycling might look relatively new, but it’s got some 30 years of intense history (that is, leaving aside anecdotal events) – it would be sad to forget it and thinking that every little step is brand new. In the 90s female cycling had become relatively popular and was apparently growing, at least in some countries – trouble started somewhere in the 2000s, with a sense of stalemate and relapse generated by sponsorship woes and a total lack of interest by most cycling institutions (even if it must be said that four or five years ago the nefarious FCI helped in saving the Giro Donne… sacrificing the U23 Giro Bio, instead). This year’s edition does have the potential to take step forward from previous years’, with the capital city finish and more interesting parcours to add to the decent prize fund, and large crowds. If it does build on those (maybe with a couple more days’ racing and better TV coverage too), then it could be well placed to challenge the Giro Donne. La Course might well have taken a step backwards this year, with a parcours that’s shorter than the previous week’s cyclosportive. The problem with Giro Rosa is a certain *lack of money*, even if I think that it’s now FCI-owned. The organisation was decent, at least when I could go and watch some stages live. The (national) TV figures are becoming a strong point, in recent years, but perhaps they should do more efforts to try and sell the product on international circuits – I really don’t know what the situation is from this POV. In Italy they started broadcasting long highlights on the national public sport channel, where it gathered decent results around 200K. I’ve been told that last year they started to broadcast it “in bundle with” the male TdF (I wasn’t in Italy, then), and they could allegedly achieve as much as 1M spectators and a 9% share on a given stage – which is a lot. This year I think that the race will be broadcast right after the TdF on Raitre, the national public generalist channel which usually shows cycling. The problem is that Eurosport says they won’t buy highlights, only live shows, and RAI isn’t interested in producing a live show (which is significantly more expensive) since the race is on the same days of the male TdF, hence RAI is quite sure they won’t ever broadcast it as a stage-long live (even more so since one of the specialised sport channels they had is going to be closed). It would also have to have a lot more than 5 stages. I’m with Nicole Cooke: there’s no reason for women’s stage races to be so short. I can’t see how women couldn’t do a two week grand tour – except that the UCI has a maximum limit of 10 days. Women’s tennis is 40% shorter than men’s, at 3 sets rather than 5. Cross-country skiing too: the Olympic distances are 15km, 30km,50km and 4*10km for men, 10km, 15km, 30km and 4*5km for women. And women have only been allowed to run marathons at Olympic level since 1984. (Until the 1950s the maximum distance was 400m!) Most of this is probably just down to Victorian attitudes about women being too fragile to cope with longer distances, and the length of time that different governing bodies take to get over themselves. 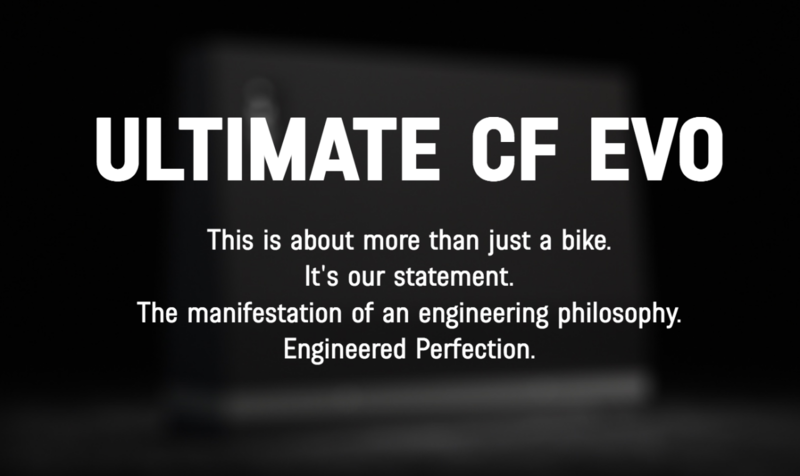 The UCI is hardly the most forward thinking in that regard. It is noticeable that newer governing bodies (triathlon, “extreme” sports, etc), seem to start from the basis of equal distances. You may or may not consider it reasonable, but apparently one of the current justifications for the limits on women’s race distances is the relatively difficulty of taking a toilet break while wearing bib shorts. This doesn’t explain why ITTs and TTTs are half the distance, but there you go. I suspect the real reason is that people think the current men’s maximums are too long (plenty of longer races are pretty dull for the first 5 hours), and would like to reduce those rather than increase the women’s. “I suspect the real reason is that people think the current men’s maximums are too long (plenty of longer races are pretty dull for the first 5 hours), and would like to reduce those rather than increase the women’s”. Did none of those *people* ever thought that the first hours – which might not be that dull, nor as many as five – are needed to have a different kind of sport in the last couple or so? (which are those you typically get to see on TV). Or, even more important, to give room for different strategies possibly leading to a different setup for the last hour, or half-an-hour? The distortion of the sport we’re seeing more and more often – formulaic procession before some final 10′ of afterburners – should be opposed, not fostered… (for a whole lot of reasons that I won’t list here, and which do not include mere traditionalism). Sorry, should have been clearer. The “people” in my suspicion are people with the ability to set distances and change the rules, i.e., race organisers and the UCI, both of whom seem to have tended towards shorter distances over the last few decades. Whether they’ve thought through the factors you mention is an interesting question. What I find quite crazy is that the longest stages (in terms of hours, not in terms of kms) are quite often those with the best TV ratings, too. Along with some of the short ones, for sure. But why anyone should decide to modify for TV’s sake… right what is actually working best on TV? However, I wouldn’t say that the problem for race organisers like ASO is the existence of lengthy TV hours where not much is happening… they’d rather cut those TV hours, instead of opting for a (risky) full broadcast like they’re doing now. I’m not very aware of the Tour’s data, but the Giro has been more or less keeping a steady total length during the last 20 years or so. It’s true that the Giro used to be longer in the past, yet, after the sudden change which followed 1999, things stayed more or less the same. Thus, you’re right when you speak of “few decades”, but (as far as the Giro is concerned) we must also note that *the last two* of those “few decades” don’t show any strong progress in that trend. It’s also worth noting that even in the past there used to be the odd years here and there when the average stage was of the same length as today, that is, what we’re living today wasn’t common or average, but it wasn’t unprecedented in classic cycling, either. What’s undoubtedly true is that a sort of subterranean stream of thought can be observed in recent cycling, with various “people” (and the lack of definition is quite appropriate) advocating now and then for shorter races. I really never understood their motives, since the alleged reasons tend to look unconvincing, to say the least (from the legendary “longer stages force riders to dope in order to survive” to “lenghty stages aren’t good for TV” – the kind of arguments which are so feeble in themselves that you’re left wondering what is *really* prompting these “opinion campaigns”). I don’t know anything about tennis, but haven’t there been calls for women to move to 5 sets – and wouldn’t they, in fact, be perfectly capable of this? Cross-country skiing – those distances are not that different. As for your final paragraph, Gabriele got there before me – those who want shorter races don’t understand the sport. In one-day racing, the longer distances produce better races; in stage racing, a mixture of distances is preferable to the current trend of producing formulaic ‘exciting’ finishes: a long stage, preferably without a summit finish, provides greater opportunity for attacks from further out and other tactical nuances, rather than just a constest of climbing at the end, having followed a train of riders for the preceding 5 or so hours. I think the boils down to plain sexism: as you say, athletics moved on from that position over three decades ago. Like shorter stages in grand tours, shorter one-day races are much more likely to produce a sprint finish (just not a sprint up a mountain). Shorten Paris-Roubaix to 180km and it’s much more likely to end in a bunch sprint – the likes of Cavendish are very unlikely to match someone like Boonen over 260km, but could probably hang on for a shorter distance. Thus, the race changes from the ultimate pave test to just another sprint finish. As for the toilet issue for women, couldn’t they just change the kit to shorts and t-shirt? Less aerodynamic, but if you make it mandatory it’s the same for all. That would go some way to mitigating the problem. (They could maybe even use she-wees.) Then, you make a law that says any camera person who films/photographs someone going to the toilet will be banned from the peloton. In x-c skiing, the women’s distances are 1/2 to 2/3rds the men’s, comparable to the ratio in road cycling. Ah, sorry Nick – I misunderstood your asterisks. “You may or may not consider it reasonable, but apparently one of the current justifications for the limits on women’s race distances is the relatively difficulty of taking a toilet break while wearing bib shorts.” Really? According to whom? I’m far from convinced about this line of reasoning too – although I don’t know any female cyclists (or male ones for that matter), so I’ve no idea. But as well as the things I’ve mentioned above, you could also have a designated toilet area – like they do with the designated litter areas – at roughly half-way. You could even have some temporary fencing. If true, this seems an issue that could in the main be overcome quite easily. These sound more like the kind of reasons that were given back in the day for why women shouldn’t box: ‘They might be more angry if they’re pre-menstrual’ was the one that sticks in my mind – not just ludicrously sexist, but also without any logic; as if being angry would be a problem for a boxer. High time cycling joined the 21st century (or at least the late 20th). Ask a few female pros – they’ll confirm it’s an issue. Chapeau for the “more animation than Pixar” line, your analogies are always a source of pleasure for the reader. Given their stable of World Tour calibre riders I’m sure it’s only a matter of time until Aqua Blue riders start collecting some wins. Minor point, the accolade given for the fastest trans-Atlantic transit by a passenger liner was known as the Blue Riband, not a normal English word, but a term borrowed from horse racing apparently. Beat me too it. Yes. Blue Riband… often confused with blue ribbon (like I did for many many years). Riband and ribbon are synonyms according to Webster. Kinda like gran prix and grand prix, a distinction without a difference. The Aqua Blue model is interesting – I know it’s been tried before but it’ll be worth watching to see how it plays out this time around. The kit is nice (imo!) and modern – and comes with the bonus of knowing you are helping Matt B + Co liven up the racing globally. Would be far more likely to buy a jersey from them than another Pro team. The online store is ok. My main question is around the choice of market to enter. In the UK / Ireland the industry ‘big boys’ scoop up the majority of online sales ( wiggle, CR) and the generalists are also making inroads ( Amazon, etc.). Any ideas what AB’s USP is for the customer, apart from being a ‘good thing to support’? Topically enough, Hannah Troop interviews lots of AquaBlue folk for wast week’s Cycling Podcast; one of hte issues she discussed was their financial model: http://thecyclingpodcast.com/podcast/double-trouble-and-bucket-breaks-episode-5 about 24:30 minutes in. Nice share, thanks. Hadn’t caught up on that yet. It seems the idea is similar to Bike Exchange where they can link up with smaller bike shops to provide an online platform but as you say it’s a challenging sector. Curious to know if there are studies of the average speed. Sure, every given race is subject to tactics, wind and course conditions, etc. but surely there are so many races to average over that a competent statistician could answer the question, is cycling becoming faster and if so, how much? I remember that piece now, worth a read. What’s confusing? There are different races on. So what? Why aren’t the best riders together? Because none of these are the best races. So what? I agree and good you’re not confused but there are some voices calling for a simplified calendar without overlapping races and where all the same riders ride the same race, even that Froome and Contador ought to do Paris-Roubaix. This week makes the point that this idea isn’t necessarily better. I think that goes too far and is unrealistic, hopefully needless to say. I do think there’s a lot of merit in the core idea that this extends too far from, in that the WT has all of the major teams required to be there. That way there’s a commitment made to promotors and organisers that the best riders in the world (ie, 18(ish) teams, 27(ish?) riders) would be present at their race. That means that if your race is WT, you can commit to multi-year deals and know the teams are coming with some of their riders. And if Sky are coming to Australia, for example, it’s not too far a stretch to bring Froome along like they did this and last year. TdF winners (and other big names like Sagan in the rainbow) just riding, let alone winning, make news and the races get a boost in local media. But all riders riding all the major races? Great way to cull the number of pro riders, I guess, as they’d not need three squads. Teams of twenty or less would certainly cut team budgets… Yay? Chris, I agree entirely, the intriguing aspect of pro cycling IS the fact that different races are going on in different places etc. Is it not a “global” sport now, or so we are told! These “voices”, why don”t they simplify the English football league and have all teams in the premiership! All these lower divisions, ahh its just so confusing, my little snowflake brain can’t cope. Very interested to see how the new Amstel course works out. They had to do something – that race had become one where you really only needed to tune in for the last half hour. Many of us have been saying that LBL should do the same thing – ditching it’s hilly finish to encourage earlier attacks – so let’s hope it works at Amstel. Agreed. Another classic for Sagan to add to his collection if he feels like it, I suspect. Nice to see women’s racing getting so much input on this blog posting. Regarding the lack of coverage Oman. They could try minimizing the cost of tv production by using drones for filming and relaying the signal. And broadcasting over the internet, perhaps youtube. I wish the best riders would clash more often. I’d like to see rivalries deepen. It may not be feasible but it sure would elevate the intrigue factor. Previous post: Does Early Season Success Bring More Success?